Searching free immigration records can provide some exciting insights into the history of your family. You can use these records to learn about your ancestors' birthplaces and their journeys to North America. Sometimes called "naturalization records," immigration records can include ship passenger lists, records of border crossings, information recorded at the port of entry, and other helpful facts about your ancestors. For many genealogists, immigration records provide the clue you need to continue researching your immigrant ancestors in their home countries. Before January 1, 1820, captains were not required to provide passenger lists to government officials, so there are very few government immigration records from before this time. Some companies kept private records, and many of these are available to genealogists. Public immigration records, especially those from 1820 to 1959, are available for searches. Often, you can even search these records for free. The Canadian government did not begin requiring records of ships passenger lists until 1865. Sporadic records were kept prior to this date, and some are searchable online. If your ancestors arrived in Canada after 1865, you're likely to find a wealth of information. Whether your ancestors came to Canada or the United States, you'll likely be able to find them listed on immigration and naturalization records. This information is an integral part of completing your family tree, and luckily, you'll be able to fill in a lot of the blanks for free! Ellis Island was the primary entry facility for United States immigrants from 1892 to 1954, and 12 million immigrants passed through inspections there. The records from Ellis Island are now online and free to the public. Before Ellis Island opened, Castle Garden was the main entry facility for United States immigrants. You can perform a free search of records from 1820 to 1892. For more official information about your ancestors' immigration, The National Archives is another great resource. You can use the website to refine your search, but most records are not available online. You'll have to visit your nearest Regional Archives office to complete your free search. OliveTreeGenealogy.com has a variety of resources for researching United States immigration records. This is the ultimate site for free ships passenger lists and other immigration information. 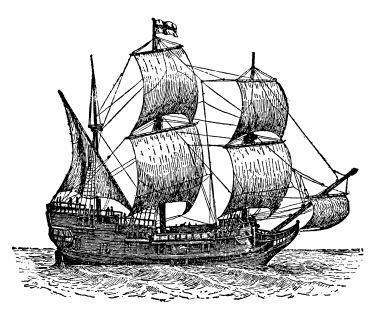 If you can trace your ancestry back to the Mayflower, you'll find lots of information about the passengers of that ship on MayflowerHistory.com. The Ships List contains databases and terrific resources for finding ancestors who may have immigrated to or through Canada. OliveTreeGenealogy.com is also an excellent source for Canadian genealogists. You'll find plenty of information about Canadian naturalization records and ships passenger lists. The Library and Archives Canada has some great resources to help you find out more about your immigrant ancestors. No family tree is really complete without immigration records. For nearly every family in North America, there was an individual intrepid enough to make the journey from his or her home country. These immigrants took a chance and made a new start in the New World. As genealogists, we can search free immigration records to establish these immigrant ancestors as an important part of our family trees.